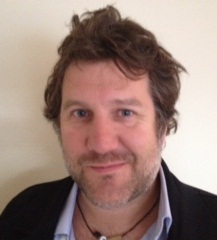 Dr Mark Wetherell is based at Northumbria University Newcastle. He is a Reader in the Department of Psychology where he leads programmes on the Psychobiology of Stress. He is also registered with the Health & Care Professions Council as a Practicing Health Psychologist and is the Associate Director of the Northumbria Centre for Sleep Research. My research concerns the identification of psychobiological pathways by which psychological (e.g., stress) and behavioural (e.g., health enhancing and compromising behaviours) factors can lead to deleterious states of health, well-being and performance in a range of clinical, occupational, and healthy populations. This work involves the development of novel, ecologically valid techniques, for assessing the basal functioning and acute activation of psychobiological pathways in ambulatory and laboratory settings, for example, assessment of indices of the hypothalamic-pituitary-adrenal (HPA) axis such as the cortisol secretion; cardiovascular measures such as heart rate and blood pressure; immune markers such as immunoglobulin A and C-Reactive Protein; and fluctuations in state mood in relation to psychosocial factors and health outcomes. In order to full understand how people respond in stressful and demanding situations, I typically combine multiple techniques to provide a compressive snapshot of how an individual is responding in relation to their normal level of functioning. This is particularly useful in understanding how background factors can affect subsequent responding during acutely stressful events. Mark publishes his research in the leading journals in the fields of Stress and Biological and Health Psychology, is a reviewer and on the editorial boards for Research Councils other funding bodies and the leading journals in the discipline.